Simon & Schuster, 9781451686586, 256pp. “Why do some ideas seemingly spread overnight, while others disappear? How can some products become ubiquitous, while others never gain traction? 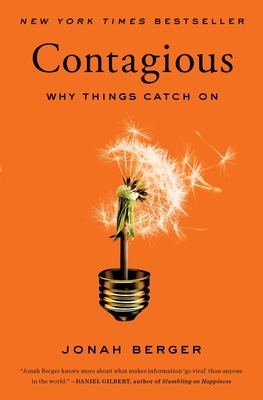 Jonah Berger knows the answers, and, with Contagious, now we do, too." "For nonexperts who puzzle about the best way to make an impact in a world of social media addicts with short attention spans, it provides plenty to think about. . . . If there were a 'like' button underneath it, you'd probably find yourself clicking it." "An exegesis on how ideas really 'go viral' (hint: the internet gets too much credit) by a marketing wunderkind." "A provocative shift in focus from the technology of online transmission to the human element and a bold claim to explain 'how word of mouth and social influence work . . . [to] make any product or idea contagious."